If you are in need of some extra space around your home, you may want to consider renting a storage unit. At a self-storage facility, you will be able to pack and organize your belongings in a way that suits your personal preferences. Self-storage units offer fantastic convenience and accessibility, and a carefully planned storage unit rental will allow you to easily manage all of your extra items. A storage facility near Capitola can provide you with all of the moving and storage services you need to get organized. To help you prepare for your storage unit rental, here are some tips for making the most of your self-storage unit. The first step of making the most of your self-storage unit is to plan what you will store in advance. Before you choose your storage unit, it is a great idea to decide which items will be packed into boxes and which items will be kept out of storage. As you are packing, be sure to note which boxes you will need to access more often. Selecting a properly sized unit is another important step for making the most of your storage experience. After you have decided on what you will store, you will have a better idea of what size storage unit will best suit your needs. By choosing a storage unit that offers a bit of room to spare, you will be able to easily maneuver in the space. On moving day, it is highly important to arrange your items with care as you are placing them in the storage unit. You may want to start by moving your largest items into the unit first. Then, you can arrange smaller boxes and items around the larger pieces. 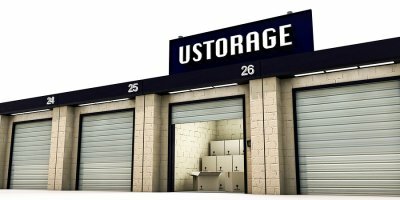 With these helpful tips, you will be sure to get the most out of your self-storage experience.